In 1838 First Presbyterian Church of Columbia organized their African American members into a separate but affiliated congregation. 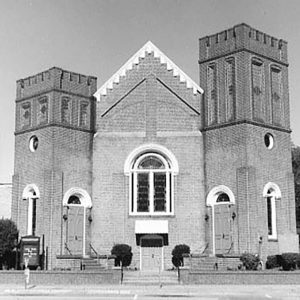 In 1874 the Ladson members severed ties with First Presbyterian Church and joined the northern Presbyterian denomination. In 1876 the first African American minister of Ladson, Rev. Mack G. Johnson, D.D., was hired. Johnson, a former slave, was educated at Howard University and served Ladson until his death in 1921. After a fire destroyed the Ladson Memorial Chapel on October 31, 1895, the congregation began raising funds to build the building that stands today.